Insert a Joy‑Con™ into this accessory to feel like you’re behind the wheel in your favorite racing game. 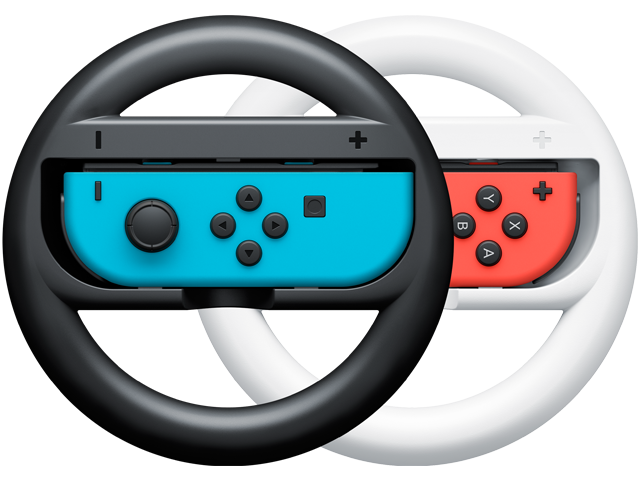 Perfect for Mario Kart™ 8 Deluxe! Two wheels included.